By clicking “I agree to the terms and conditions of the iamcapetown.com Service Agreement” you conclude a binding agreement with iamcapetown (Pty) Ltd (“iamcapetown”), and below you will see in detail the terms and conditions which you agree to comply with while using the iamcapetown service. We know that these things can get long and boring, but it is important to us that you know how we work. Please pay particular attention to the clauses written in bold and underlined. If there is anything that you are unsure of, please contact us before clicking “I agree”. If there is anything that you don’t agree with please do not click “I agree” and please do not make use of the iamcapetown platform. · “Delivery Period” means two (2) business days from checkout. · "Fees" means any amount which iamcapetown charges in terms of iamcapetown’s Fee Policy. · "Fee Policy" means the document as at www.iamcapetown.com/fee-policy. · "Indemnified Party" means iamcapetown, its officers, employees, contractors, consultants and agents from time to time, and any related entities, associates or affiliates of iamcapetown, and each of their respective officers, employees, contractors, consultants and agents from time to time. · "Product” includes and means, but is not limited to: apparel, design, sculptures, music, fashion, video, photography, vouchers, prints, digital media, film, accessories, vouchers, paintings and consulting services. · "Prohibited Products" are the products listed below which iamcapetown expressly prohibits Vendors from selling or offering for sale on the iamcapetown Platform. This includes but is not limited to product which any relevant local, provincial, national or international law or regulation prohibits being offered for sale. · "Registration Information”" information provided by you when registering for the iamcapetown service. · “iamcapetown” means a company duly incorporated with limited liability and registered according to the Company Laws of the Republic of South Africa, having its principal place at 4 Zastron Road, Milnerton, Cape Town. · "iamcapetown Platform" means the Software as a Service ("SAAS") online system that makes trade between Vendors and Shoppers of product through iamcapetown possible. · "iamcapetown Ratings and Review System” means the combination of ratings and comments provided by the Shoppers in reviewing various Vendors which are reflected below their listings. · "Site" or "Website" means a website by which iamcapetown offers the iamcapetown Platform from time to time, currently www.iamcapetown.com. · “Store” means the online store created by the Vendor in order to list, promote and sell its Product. · "Third-Party payment provider" means the third party that processes payments on behalf of iamcapetown users, being PayU. · "Vendor" means an active, authorised registered user of iamcapetown who has created a store on the iamcapetown Platform in order to list, sell and market Product. · "we", "us", "our", "ourselves" and "iamcapetown" are used interchangeably in these Terms and Conditions and all mean iamcapetown.com or iamcapetown (Pty) Ltd as the case may be. b. You will update the Registration Information to keep it accurate and complete. If iamcapetown suspects that your Registration Data is inaccurate, incomplete or non-current, iamcapetown has the right to suspend/terminate Your Account and refuse current or future use of the iamcapetown Platform. e. You are solely responsible to keep your password secure. iamcapetown will incur no liability from failure to keep your password and access details secure. f. You must notify iamcapetown immediately of any security breaches on your account. You will be liable for any breach to your account. iamcapetown will not be liable for any losses due to unauthorised access. g. All Registration Information becomes the property of iamcapetown. c. iamcapetown guarantees that the product you purchase will be delivered to your appointed address within two (2) business days of concluding the transaction. 1.4 iamcapetown shall have the right to rely, without further inquiry, on provision of the user identification(s) and password(s) as sufficient to authenticate use of the iamcapetown Service. 1.5 iamcapetown will not be involved in disputes between Shoppers and Vendors resulting from or relating to any transaction concluded on the iamcapetown Platform, or this Agreement. 1.9 iamcapetown may, in iamcapetown’s sole discretion, change some or all of iamcapetown’s services and Fees at any time. In the event iamcapetown introduces new services or Fees, a notification will be sent to your appointed e-mail address and such change or introduction will be effective from date and time of sending and your continued use of the iamcapetown’s Platform after such a notification has been sent will indicate to iamcapetown your acceptance thereof. 1.10 A statement will be made available to you on your Dashboard after conclusion of a transaction. 1.11 In order to close your account, you will be required to e-mail iamcapetown at info@iamcapetown.com. 1.12 Unless otherwise stated, all prices which appear on the Vendor stores are quoted in South African Rands. 1.13 iamcapetown may restrict and or terminate services to you at any moment without notice and without needing to furnish any reasons. 1.14 iamcapetown will not provide any computer equipment, network infrastructure, connections, hardware or software which you may require to access this Site. 2.1. Subject to the terms and conditions of this Agreement, iamcapetown hereby grants you a limited, revocable, non-exclusive, non- transferable, worldwide right to use the iamcapetown Platform solely for the purposes described in this Agreement. 2.2. A Shopper is afforded the rights granted to a consumer and data subject in terms of the Electronic Communications and Transactions Act 25 of 2002.
e. interfere or modify the functionality or presentation of the iamcapetown Site or Platform. You further agree that upon termination or expiration of this right, you shall no longer have the right to use the iamcapetown Platform. 3.2. The Vendor agrees and warrants to the Shopper and separately to iamcapetown that it is the legal owner of the Product it is offering for sale on the iamcapetown Platform and it has the legal capacity to conclude the sale and to pass the title in the goods and services to the successful Shopper. 3.3. The Vendor agrees and warrants to the Shopper and separately to iamcapetown that it will not hyperlink to or include descriptions of goods and services that you it is not offering for sale on this Site. iii. if the Shopper has made known the particular purpose for which the services are required or the result the Shopper wishes any services to achieve, then those services and any materials supplied in connection with those services will be reasonably fit for that purpose or are of such nature and quality that they might be reasonably expected to achieve that result. ii. is legally able to be offered for sale, and sold on this Site, and otherwise, that the offer and sale of those goods and services is not in contravention of any law. d. and the Vendor agrees that such terms and conditions will include any matters prescribed by us under this Agreement. 4.2. You agree and warrant to each Vendor and separately to iamcapetown that the purchase of any goods and/or services through the iamcapetown Platform is entirely at your own risk. 4.3. 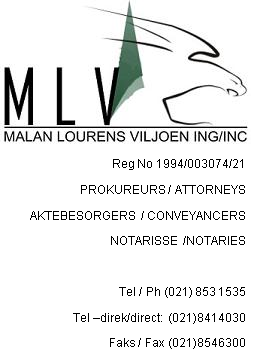 You agree and warrant to each Vendor and separately to iamcapetown that that you have read and understand the Vendor’s Refund and Return policy and you agree to be bound by the terms thereof, and that you acknowledge that iamcapetown bears no onus or liability regarding any dispute relating to the refund of a product or any damages incurred in connection therewith. 4.4. You agree to make all payments through iamcapetown’s Third-Party payment provider, currently PayU. 5.1. By placing an order on iamcapetown, the Shopper enters into a direct transaction and relationship with a Vendor via the iamcapetown Platform. 5.2. iamcapetown encourages the parties to conclude the transaction in a fair and equitable manner. 5.4. iamcapetown is simply holding the funds for the relevant Vendor of the Product. 5.5. All sales are legally binding between the Vendor and the Shopper. d. the Shopper’s identity cannot be authenticated and verified by the Vendor. 5.7. All services sold via the iamcapetown Service shall be rendered in accordance with the time schedules and terms set out by the Vendor. 5.8. Should one of the exceptional circumstances in clause 5.6 occur, iamcapetown endeavours to deliver the product as soon as readily possible after the termination of the exceptional circumstance. 5.9. You are entitled to rate a Vendor using the iamcapetown Rating and Review System. 5.10. The Vendor agrees that ratings and review scores may be provided about them and their products and services. 5.11. You are only permitted to rate and review a Vendor if there exists a completed transaction between yourself and the specific Vendor. 5.12. You undertake to provide ratings and reviews that are fair and in no way vexatious or malicious. Ratings and reviews cannot be amended or edited once submitted. Caution must be taken when rating or reviewing as these can be utilised for litigation purposes. 5.13. You may not abuse the Ratings and Review system, which includes adjusting ratings and reviews higher or lower by utilising another Shoppers account. Threatening racially offensive, abusive derogatory, discriminatory or profane language is also regarded as abuse of the system. 5.14. iamcapetown promotes and preserves freedom of expression as envisaged by Section 14 of the Constitution of the Republic of South Africa and will only remove ratings and reviews in exceptional circumstances, however you consent to the removal of any ratings and reviews which contravene the provisions of this clause. 5.15. iamcapetown will not be held responsible for the ratings and reviews the Vendor is given on this Site. 5.16. In the case of all disputes between a Vendor and Shopper, refer to the Disputes clauses below. d. when your personal information is necessary for pursuing the legitimate interests of iamcapetown or of a third party to whom the information is supplied. 6.3. If we have any reason to believe or suspect, that you are not, or may be in danger of not, complying with or adhering to any of the provisions of this Agreement, then we may send you a warning asking you to rectify your conduct within 48 hours, failure whereby iamcapetown is entitled in its sole discretion to terminate this agreement without any further notice. 6.5. Notwithstanding any rights in this Agreement, iamcapetown expressly reserves the right to terminate any user account with immediate effect and without any notice in the event the non-compliance with this Agreement threatens to cause serious prejudice to iamcapetown or its other users. g. collect information about users (including email addresses), trades listed or sales activities conducted on iamcapetown without the express permission of iamcapetown. b. that this Site, the information, tools, content or materials included on this Site, the iamcapetown servers, or any electronic communications sent by us are free from viruses or other harmful components. e. iamcapetown cannot be held responsible for any consequences that may result from the unlawful breach of copyright or unlawful dissemination of information by third parties relating to information on this Site. 7.5. iamcapetown will not be liable for any damages of any kind or form arising from your use of this Site or from any information, tools, content or materials included on or otherwise made available to you through this Site, including, but not limited to, direct, incidental, punitive and or consequential damages. iii. entering into this Agreement and concluding any transactions on the iamcapetown Platform does not violate your Constitution, Memorandum of Incorporation, Trust Deed or any incorporating documents. 10.1. Should you the user enter into this Agreement on behalf of an juristic entity you hereby bind yourself as Surety and Co-Principal Debtor jointly and severally to iamcapetown for the due and proper fulfilment of all the duties and obligations of the juristic entity its successors-in-title or assigns, arising in terms of this Agreement. a. No act of indulgence, relaxation or grace granted by iamcapetown shall prejudice or affect iamcapetown’s rights in terms hereof, and if any action by iamcapetown results in a novation of any debt or liability arising out of or from the debt then you undertake and agree to be similarly bound as Surety and Co-Principal Debtor in favour of iamcapetown of such novated debt or liability. b. This Suretyship shall remain in force as a continuing covering security until such time as all the obligations of you to iamcapetown have been duly and properly fulfilled. d. iamcapetown shall be entitled at its option to institute any legal proceedings which may arise out of or in connection with this Suretyship in any Magistrate's Court having jurisdiction, notwithstanding the fact that the claim or value of the matter in dispute might exceed the jurisdiction of such Magistrate's Court. e. Without derogating from the generality of any of the provisions of this Suretyship or the ambit of the obligations embraced, my liability shall cover all claims for compensation or damages which iamcapetown may at any time have as a result of the cancellation, termination or breach of any contract between iamcapetown and you which takes place pursuant to the provisions of section 37(1) of the Insolvency Act, No. 24 of 1936, as amended, or, where the juristic entity is a close corporation as applied by virtue of the provisions of the Close Corporations Act 69 of 1984, as amended. 11.1. If you are under 18 years of age or not legally permitted to enter into a binding and enforceable agreement, then you may not register as a user or make use of the services of iamcapetown, unless you are duly supervised by and you have obtained the consent of your parent or legal guardian or spouse. 11.2. If your parent or legal guardian supervises you and gives his/her consent, then such person hereby agrees to be bound and to be liable and responsible for you and for all your duties and obligations in terms of the agreement entered into between yourself and iamcapetown. 11.3. iamcapetown strictly reserve our rights to refuse our service, terminate/suspend your account or cancel orders, should iamcapetown, in our sole discretion find that you have failed for whatsoever reason to comply with the aforementioned provisions or the remaining provisions of these terms and conditions, without prejudice to any other rights that we may have at law. 11.4. To the extent that you utilize this Site or the iamcapetown Platform, iamcapetown will be entitled to accept that you were or are supervised by and have obtained the consent of your parent or legal guardian or curator or trustee. The onus to prove otherwise shall rest with you and by clicking “I agree to the terms and conditions of iamcapetown.com Service Agreement” you provide prima facie evidence or possessing such consent or supervision. j. any decision relating to the holding of an inquiry into an alleged breach on the part of one or more of the iamcapetown users. 14.1. While iamcapetown makes every reasonable effort to ensure that the content and information on the Site is accurate, complete and updated, we do not make any guarantee about the suitability of the products and services on the iamcapetown Platform nor that the content and information on the iamcapetown Site or Platform is accurate, complete and updated. 14.2. You agree to fully indemnify iamcapetown, its directors, and employees, and will not hold us responsible for any claim relating to your use of the iamcapetown Site or Platform. 14.3. You agree to fully indemnify iamcapetown, its directors and employees, from any errors or inaccuracies or incomplete information made available by third parties on the Site and agree that, we will not be liable for any loss or damages, including direct, indirect and consequential loss that may arise from any disclosure to or by any third parties. 14.4. You accept that iamcapetown is not responsible for any mistakes in the performance of any calculators or interactive tools used in the calculations. 14.6. You acknowledge that some of the content, information, materials or tools on the Site come from third parties or external sources, and you agree that iamcapetown is not responsible, and will not be held liable for any information or content received from these external sources. 15.1. You and iamcapetown must follow the procedure for resolving any dispute in connection with or arising out of this Agreement, in accordance with this Clause 16 before starting any proceedings (except proceedings seeking urgent relief). 16.1. iamcapetown encourages users to report user-to-user disputes to local law enforcement, or a certified mediation or arbitration entity, as applicable. 16.2. iamcapetown, for the benefit of users, may try to help users resolve disputes. 16.3. iamcapetown does so in iamcapetown’s sole discretion, and iamcapetown has no obligation to resolve disputes between users or between users and outside parties. 16.4. To the extent that iamcapetown attempts to resolve a dispute, iamcapetown will do so in good faith based solely on iamcapetown’s policies. 16.5. iamcapetown will not make judgments regarding legal issues or claims. iamcapetown has an absolute discretion to change, amend, revise or modify the terms of this Agreement at any time. Should iamcapetown do so, we will e-mail or circulate via any other electronic means details of any such changes, amendments, revisions or modifications on this Site that will be effective at the time and date of sending the notification to your appointed e-mail or other method of electronic circulation. Your continued use of the iamcapetown Platform after time and date of sending or circulation will indicate to iamcapetown your acceptance of such change, amendment, revision or modification. Nothing in this agreement shall constitute or be deemed to constitute a partnership or joint venture between the parties hereto or constitute iamcapetown as an agent or representative of the Shopper or vice versa. 23.1. The e-mail address that you used to register and later use to login to the iamcapetown Platform (your “appointed e-mail address”) will be your appointed e-mail address for all notification purposes of this agreement. 23.2. The Vendor may from time to time change its appointed e-mail address by electronically updating its information on the Dashboard, which change will be effective immediately.